Handmade miniature semi-precious stone sample display box. 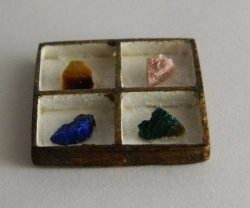 There are four stones in this tray, Lapis, Tiger Eye, Azurite and a mystery one. It measures: 1" x 1." 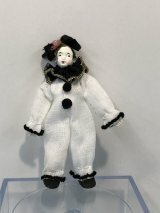 Just a really interesting piece for your dollhouse study or library.